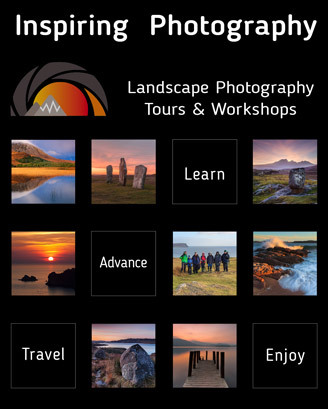 The Isle of Skye off the west coast of Scotland is one of the prime sites in the world for landscape photography. A stunning coastline surrounds a wild landscape of waterfalls and rugged mountains. It is perhaps not surprising that its lesser neighbour – the island of Raasay, sandwiched between Skye and the mainland – has largely escaped the notice of the landscape photography fraternity. You will often see its long shape in the background of sunrise images of the Old Man of Storr on Skye but that is about as far as it goes. Last winter I had the opportunity of staying there for a week in January, so I decided to explore its photographic potential.